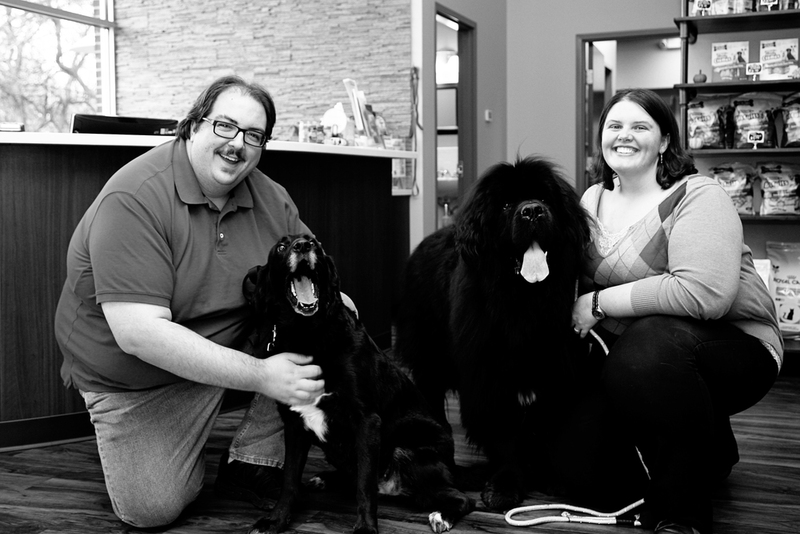 Meet Dr. Hedges, her husband Ted and two members of their furry family, Brie and Arti. Welcome to Pleasant Paws Veterinary Care! Welcome to Pleasant Paws Veterinary Care! Help yourself to a complementary beverage or snack while your pet is being seen. We focus on your pet while in the room. Most of our dog exams are done on the floor to keep your pet comfortable. We use a mobile exam table for cats and small dogs. We have a small pharmacy and in-clinic blood analyzer; most of our blood-work is sent to a lab for more accurate testing and less expense to you. We also have an online pharmacy with home delivery that carries a broad spectrum of medications for anything that ails your pet. If your pet needs to be sedated or if they are less stressed away from their family or in a bigger space, everything will happen back here. Feel free to ask for a personal tour during your visit! Our experienced groomer, Melissa, sees appointments every Tuesday, Thursday, Friday and Saturday. As you can see, she can handle any dog big or small and does a beautiful job! Every grooming visit includes a complementary exam by a Licensed Veterinary Technician to make sure your pet is in the best of health every time they leave our doors. We want to provide the best quality medical care for your pet, and that includes digital x-ray. If your pet is sick, we can use our x-ray to instantly see any abnormalities in the body. When combined with a complete exam and sometimes blood-work, Dr. Hedges can make a treatment plan to get your pet on the mend.